The Latest News | Wipe Easy Tablecloths - NEW in! 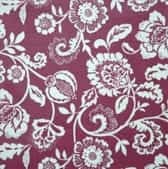 We love hunting out new fabric designs for our wipeable tablecloths and are really excited to have introduced Eliza Mulberry, Harriet Linen and Harriet Chambray to our oilcloth tablecloths range. We’d describe this as a luxurious and decadent mulberry red base topped with the most gorgeous cream flowerheads. 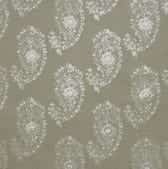 This wipe clean tablecloth would look fabulous on any dining table, especially in a room with neutral décor. Glam it up with a crystal chandelier and wow dinner your guests! We loved the Harriet fabric as soon as we saw it – so we’ve stocked up in two colour schemes which will work perfectly as wipeable tablecloths! 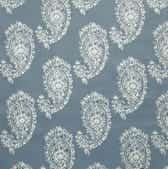 Harriet Linen is a lovely neutral latte while Harriet Chambray is a muted petrol blue, both with a vintage, crisp white near-paisley pattern. Perfect for everday or special occasion tea parties – dress the table with a cute tea set and, of course, delicious cake!